Radiating an irrepressible charisma, Jacksonville’s Babyface Kaedo delivers boisterous boasts with a distinct drawl. Just barely old enough to get his driver’s license, the 17-year-old Internet Money Records signee shows off his infectious flow on “Pikachu,” his latest single. Produced by Internet Money’s beatmaking prodigy Nick Mira, best known for producing many of the tracks on Juice WRLD‘s Goodbye & Good Riddance, including the Billboard Top 5 hit “Lucid Dreams,” “Pikachu” is a bouncy banger, marked by syncopated synth bloops and gorgeous piano lines. The song finds Kaedo locking into a repetitive cadence, impressing with a trance-like delivery and his brash boasts. 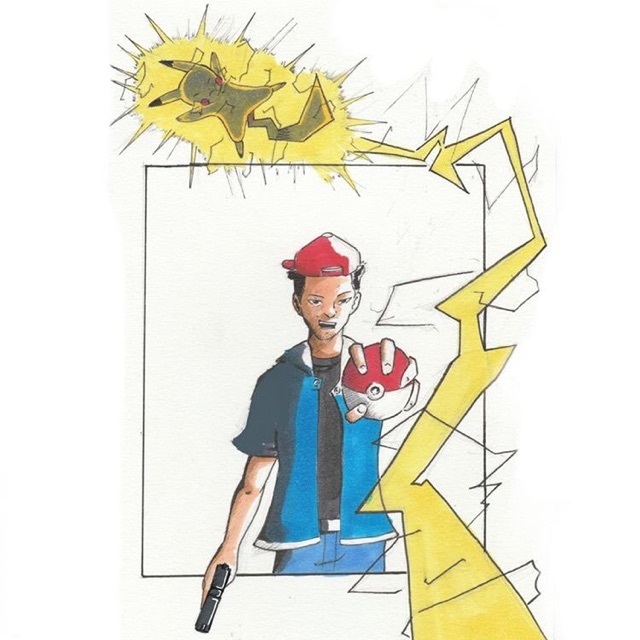 “Pikachu” is Kaedo’s second single release, following “No Fakin’,” released in June and produced by JRHITMAKER and Taz Taylor. The latest upstart from a bustling Florida rap scene, which produced artists such as Kodak Black, Babyface Kaedo rose out of his notoriously rough Jacksonville neighborhood with his preternatural rhyming ability and confident mic presence. Growing up in his grandmother’s house with a wild streak that got him into trouble, Kaedo witnessed a close friend and classmate lose his life in a shooting at a J’ville bus stop. Haunted by the experience and with newfound dedication to keep his name out of the obituaries page, for his family’s sake, started rapping, taking on neighborhood figure Camo Jack as a mentor. His unique style quickly found a fan in Taz Taylor, the rising producer and entrepreneur behind Internet Money, who signed him to Internet Money Records, a joint venture with Alamo and Interscope. Jacksonville, Florida rapper Babyface Kaedo is only 17. However, the first artist signed to hit-making producer/songwriter Taz Taylor’s Internet Money Records (Interscope/Alamo) has lived beyond his years—and it is evident in his personal rhymes. After recent introduction, “No Fakin’” (produced by JRHITMAKER and Taylor) this focused voice aims to show the world that he’s the real deal with a diverse offering in his songs about all aspects of life.